The November 2015 VAASL conference was amazing, and my first large scale professional conference. What did I take away from said conference? Well, always double check the room numbers. Turns out that there is a BIG difference between auditorium and amphitheater. Oops! 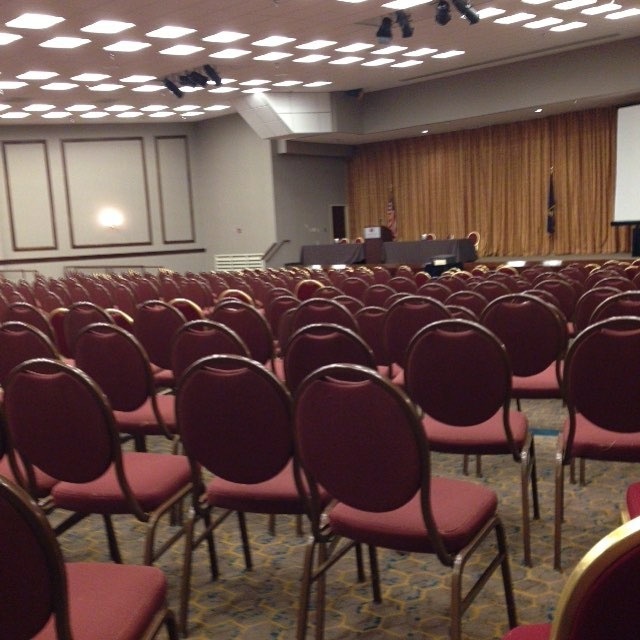 Luckily, we realized when no one showed up, that we were in the wrong place and made it to our session with a few extra minutes to spare. 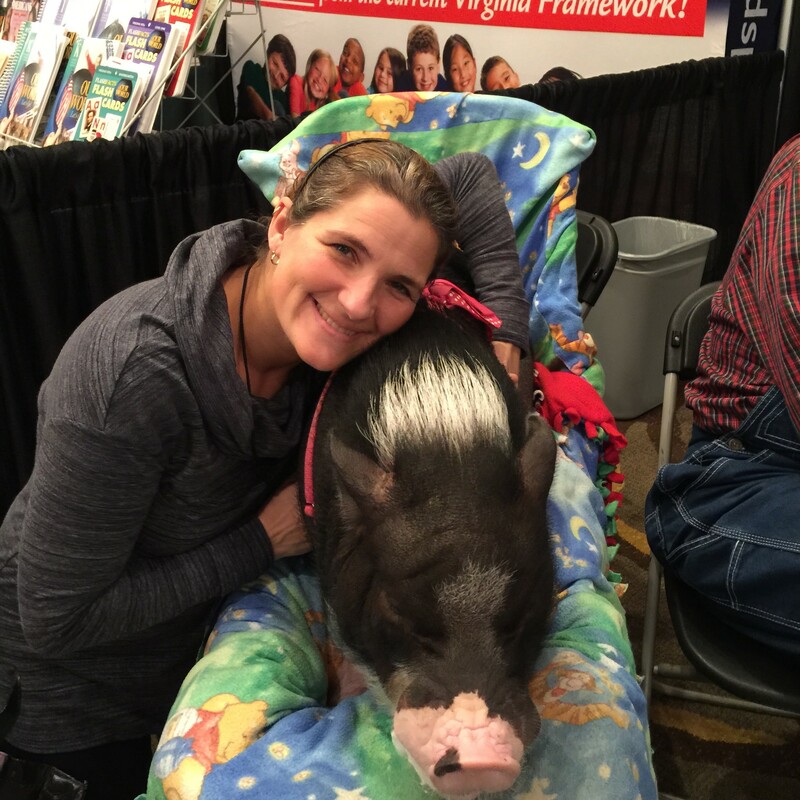 As someone who has been to several smaller conferences, the VAASL conference has a lot to offer. 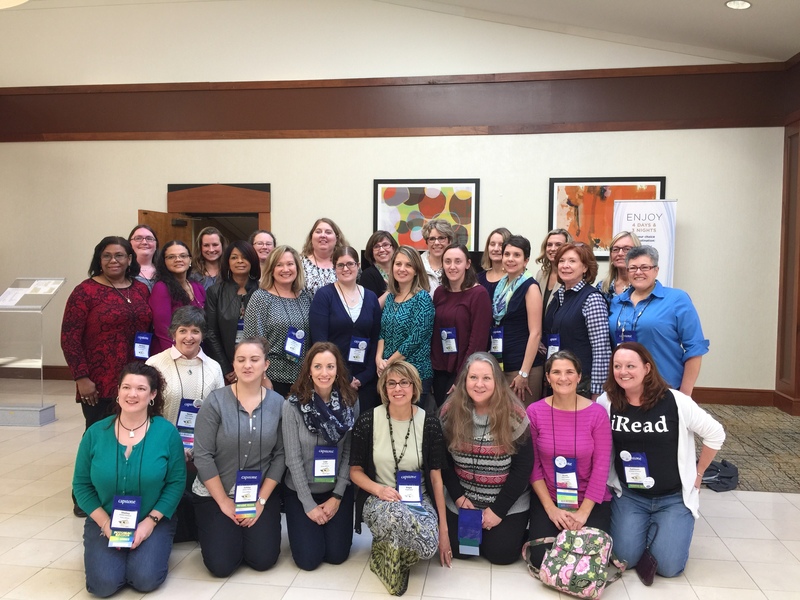 Sessions were lead by librarians and educators who genuinely have a passion for their profession. All were eager to share their expertise and to lend a helping hand in any way they could. 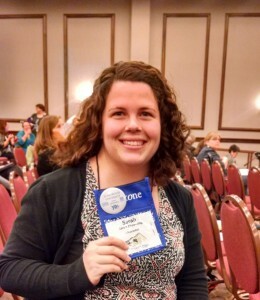 I got so many great ideas from how to improve Sustained Silent Reading at our school, to sponsoring a Virginia Readers Choice group to listening to Longwood’s very own Dr. Church present on the 10 emerging trends in librarianship. This conference was a great use of my time, and a fantastic way to network with other professionals! I cannot wait to attend next year! 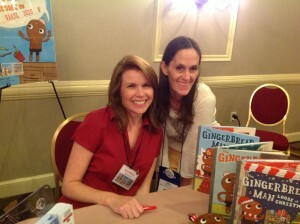 Photo with award winning children’s author, Laura Murray. 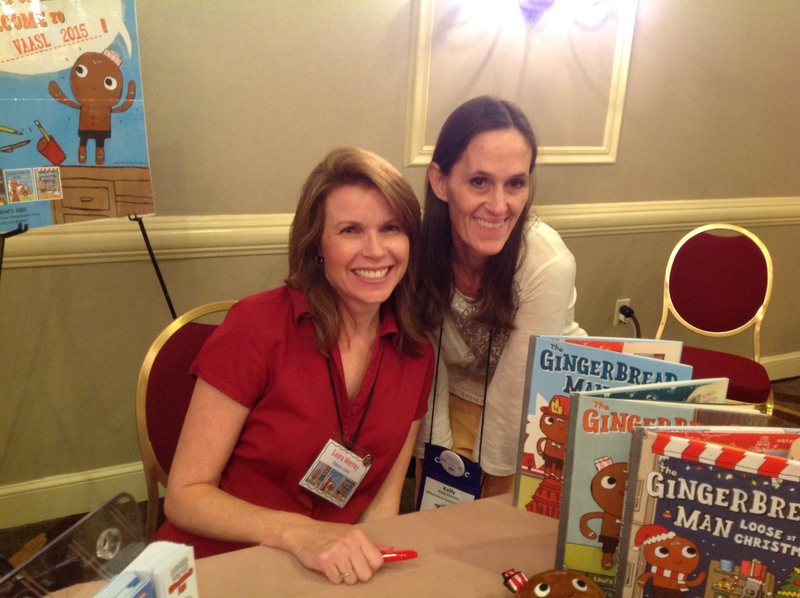 My 2nd grade students LOVED her “The Gingerbread Man Loose in the School” series. 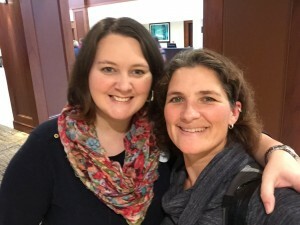 “Two is Better Than One” by Tanya Parrott and Kathy Stavros: In this session the presenters provided many lesson ideas, resources, and strategies for collaborating with teachers of all grade levels. Specific activities that support the curriculum were presented, I will share many of these ideas with teachers here at Norge. Examples included life cycles (grade 2); maps (grade 4); and identifying letters (K). Using Stations to Manage the Library by DeWayne Harrell: This elementary librarian presented many great ways to create a variety of library stations which incorporate reading, technology, strategy board games, and hands on activities for students. I have used several of these resources already in our library, but I will investigate many of the other resources that Harrell provided. On the Edge with the Top Ten Topics and Trends by Audrey Church: A wealth of online resources, articles, professional journals, and tutorial videos were presented in this session. Topics included Coding, Digital Citizenship, Diverse Books, Flexible Scheduling, Read Alouds, and much more. I would greatly appreciate it if we could meet to further discuss the benefits of flexible scheduling. I came away from this conference with many “ready to implement” lessons and resources for library lessons. Additionally, I have many great ideas for collaborating with staff and students. I will spend the next few months viewing many of the other resources provided at this conference. Where to start? 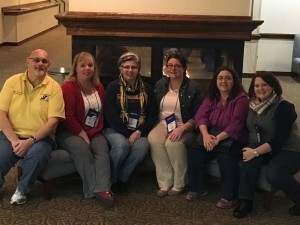 The VAASL Conference was a wonderful experience, from perusing the vendors and getting to see 3D printers at work to attending conference sessions, it was nonstop. 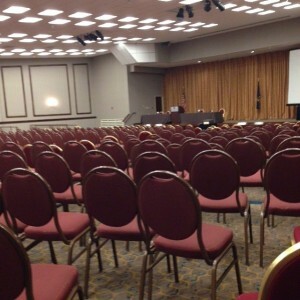 It was hard to choose which sessions to attend with so many options. 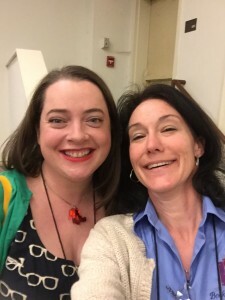 My favorites were Online Tools in Action, Pairing Literature with Primary Sources, Oh the Places You’ll Go (four cool tools), and the Coding sessions, but I enjoyed every single one of the sessions I chose to attend. I am so excited to try out the “Hour of Code” and am signed up for training in DC for next week. 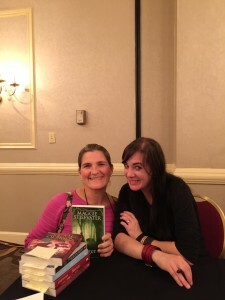 I thought the speakers were wonderful, especially Maggie Stiefvater who divided her speech into 8 chapters of her life. I loved that and thought it was a brilliant way to keep the audience focused while she was talking. I also enjoyed meeting Lamar Giles and can’t wait to share his new book in my current classroom. This experience was well worth the cost and I hope to be able to attend next year, as well. 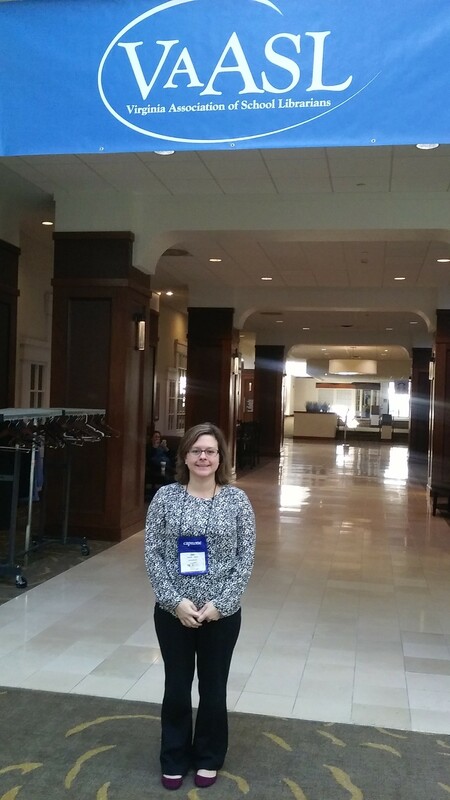 I am very happy that I was able to attend the 2015 VAASL conference in Williamsburg VA. 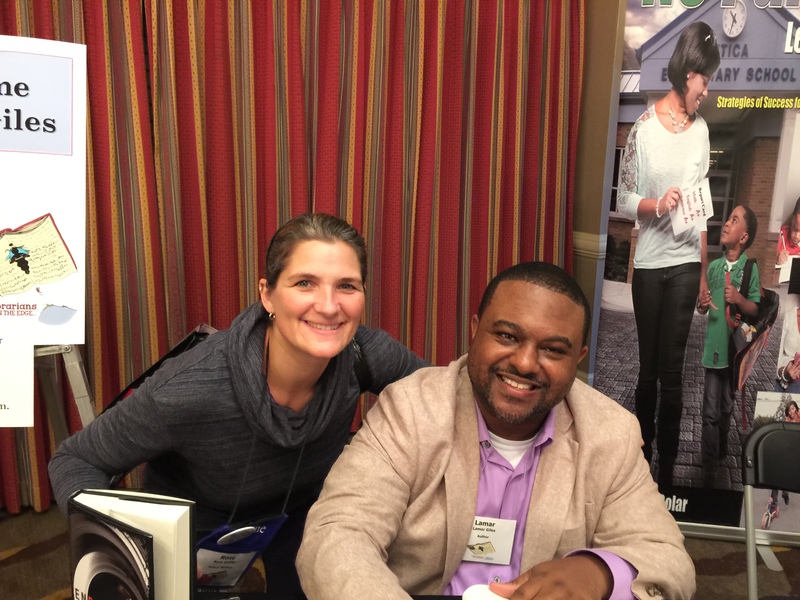 The keynote speakers were wonderful and both had very powerful messages about student reading and participating in the library. I was able to attend many different sessions that gave me some wonderful ideas that I cannot wait to put into practice in my library. I have been looking into creating a makerspace in the library and now have a much better idea about how to get one going and use it to help increase student learning. Overall it was a wonderful experience and I cannot wait to attend again next year! 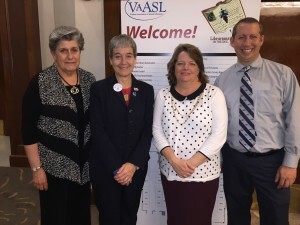 The VAASL Conference was wonderful. 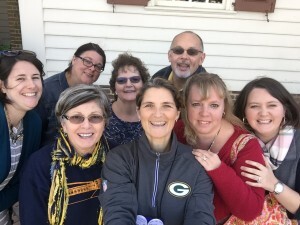 I loved meeting up with other librarians and reconnecting with former classmates. Such a wonderful network to be a part of with fabulous exchanges of ideas and inspiration. I attended information sessions about creating an atmosphere of reading, collaboration, using Twitter, teaching students to write computer code and many more! I am so grateful for this opportunity! 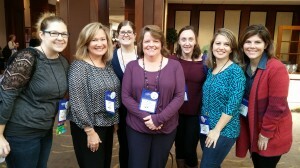 VAASL 2015 in Williamsburg was a great experience! 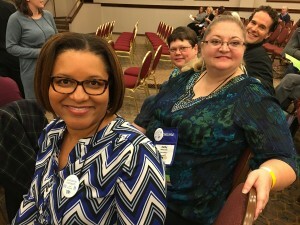 The best part was meeting librarians from across Virginia and sharing ideas as we waited to attend sessions. The sessions were informative and left you with a feeling of excitement and hunger for more learning. 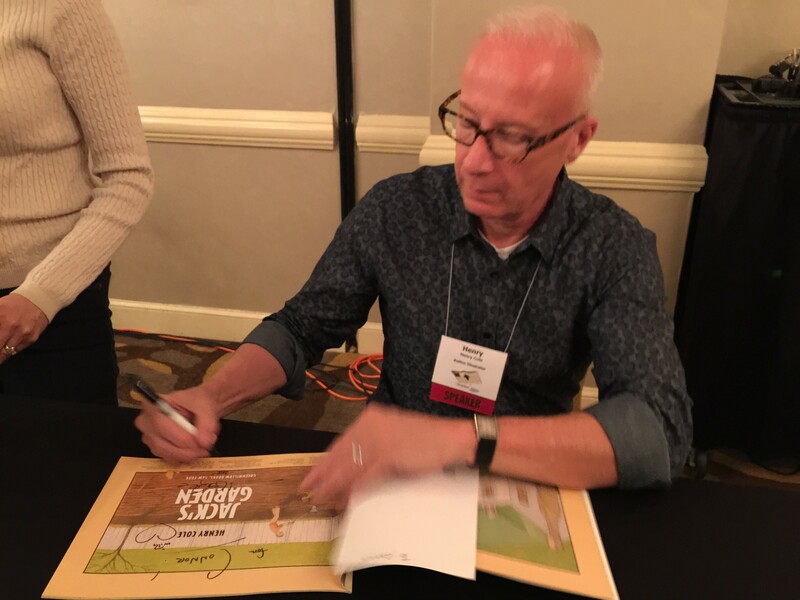 Sessions I attended included book talks by local authors, sessions on creating a Makerspace and twitter account, and a session on the latest trends for 2015. I am so looking forward to VAASL 2016! I am finishing up the School Librarianship cohort with Prince William County. As part of the program we asked to attend the VAASL (Virginia Association of School Librarians) conference in Williamsburg, VA. I recently moved to Connecticut, but I traveled back to VA to attend the conference. It was well worth it! I went to 10 sessions and every single one was amazing! 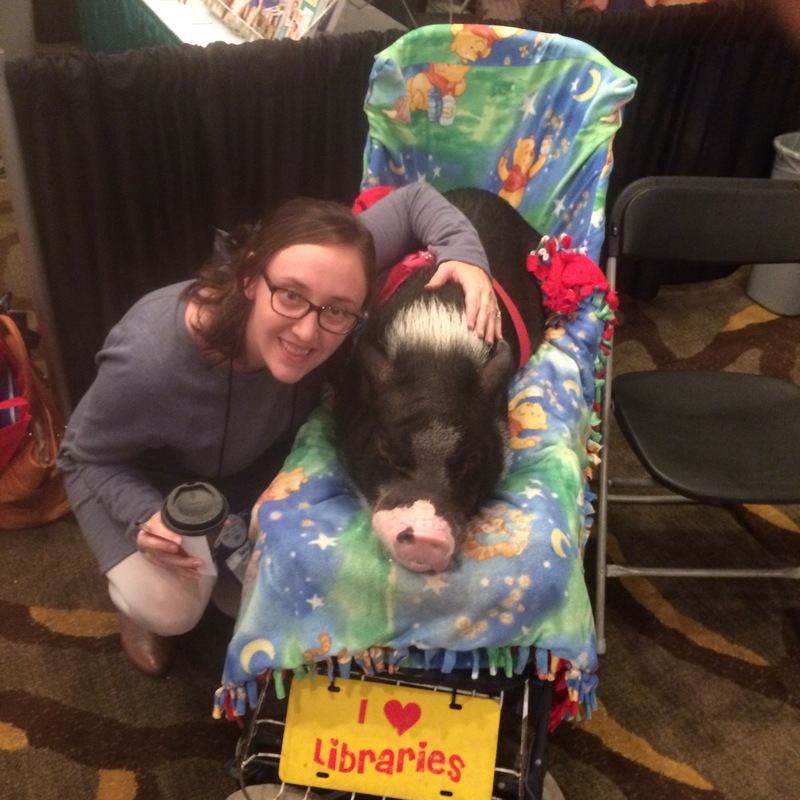 I am currently a high school librarian and I learned so much at this conference. I have so many new ideas I can’t wait to bring back to my school! 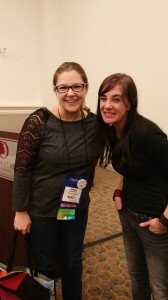 My favorite session, by far, was Maggie Stiefvater’s presentation on Mythology in YA literature. My book club is currently reading The Scorpio Races. I can’t wait to show them that I met her and got a picture with her! The kids are going to be so excited! Her stories and explanation of what inspires her to write was interesting and I can’t wait to share that with the group, too. Another session that was great was one on how to promote your library program. I came away with great ideas that don’t really cost all that much. This conference was a great way to network and learn about all the wonderful things that other librarians are doing! This conference was extremely educational and I can’t wait to return next year. This was my first year attending the VAASL Conference. As a current student in the School Librarianship program, I loved hearing from current librarians! I attended three session on Saturday. The sessions I attended were about beginning to create makerspaces, Web 2.0 tools, and creating a culture of reading. It was extremely exciting to see some of the ideas I have read about in classes, actually taking place in school libraries. My only regret was not being able to attend more sessions during the week. I hope next year I will be able to attend in Norfolk!